OM VISA Consultancy - Global Immigration, Students, Visitor, Business & Work VISA Consultants: Medicine in Russia......via OM International. Medicine in Russia......via OM International. About Russia :- Russia, the world’s largest nation, borders European and Asian countries as well as the Pacific and Arctic oceans. Extending across the entirety of Northern Asia and much of Eastern Europe, Russia spans eleven time zones and incorporates a wide range of environments and landforms. Russia has the most college-level or higher graduates in terms of percentage of population in the world. Ø No Entrance Exam required. 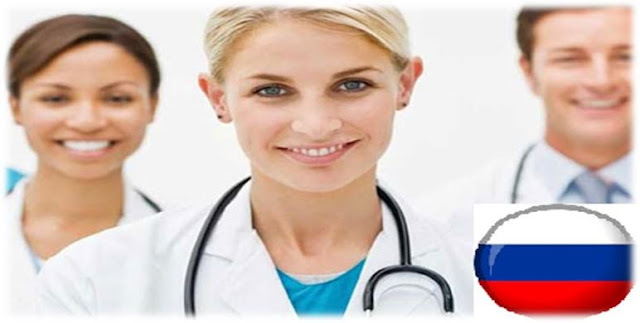 Ø Degrees from Russian universities are recognized by MCI (Medical Council of India), IMED (International Medical Education Directory), UNESCO (The United Nations Educational, Scientific and Cultural Organization), WHO (World Health Organization). Ø Higher GPA (more than 85%) in 1st year makes it possible to get 100% scholarship from 2nd or 3rd years of studies. Ø Student can legally work in Russia with a legal work permit while studying. Ø Wi-Fi connects all the educational and administrative buildings of chosen Universities. Ø Russian curriculum is wide and gives the student a broad base of knowledge. 2nd - 7th years- $1850 per year. Living expenses- $250 per year. Intake : March & September. Ø Application form duly completed. Ø Official Mark sheets of all universities/schools attended. Ø Statement of Purpose (SOP). Ø Two Letters of Recommendation. Ø Degree Certificate or Provisional Degree Certificate. Ø Passport Copy – First and Last Page Xerox. Ø Work Experience certificate (if applicable).